As part of the LEARN project a series of interviews were carried out with UCL researchers to gather their views on Research Data Management. 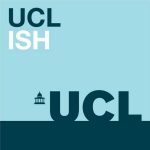 These interviews were carried out in 2017 by Daniel Kordik, Daniel van Strien, Myriam Fellous-Sigrist and Matt Mahon all based at UCL Library Services. Dr Jenny Bunn is Program Director at Archive and Records Management at UCL. Jenny Bunn worked has previously worked as an archivist at the V&amp;A Museum, The Royal Bank of Scotland Archives, Glasgow University Archives and The National Archives before moving to teaching and research at UCL.